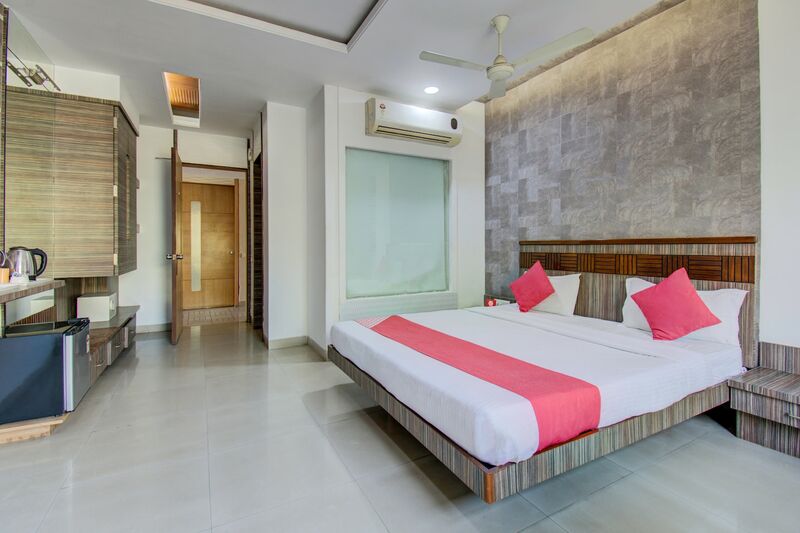 Hotel Admiral Suites is a stylish and comfortable property situated in New Osmanpura, in Aurangabad. The Usmanpura Bus Stop and Kranti Chauk Bus Stop are very close to the property, making it well-connected. The hotel has beautifully designed and well lit rooms which have big windows bringing in lots of natural light. The bathrooms are modern and well maintained. The big hallways and reception are spacious and have stylish installments. There is a banquet hall, conference room, and in-house dining area too. The rooms here are equipped with TV, AC, mini fridge, free Wi-Fi, and the bathrooms have geysers. Power backup and elevator are other advantages. The hotel is close to restaurants like - Balle Balle - Hotel Manor, Hot Plate Restaurant, Yalla Yalla, Harry's Bar and Blue Cilanto. A few markets close to the property are Megamart, Vinay Kitchen Trolley, American Tourister Showroom, LinenKing - Nirala Bazar and Adidas.